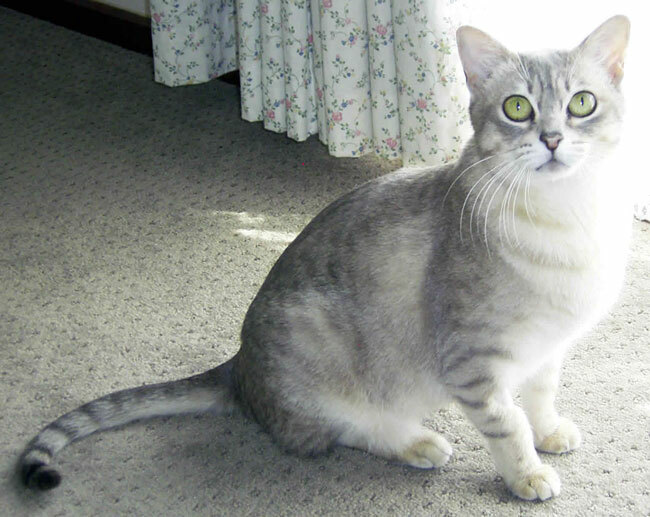 Australian Mist is an extremely affectionate domestic shorthair cat developed in Australia. 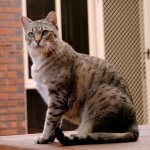 Before 1998, this breed was popularly known as ‘spotted mist’ because of its characteristic spotted coat. 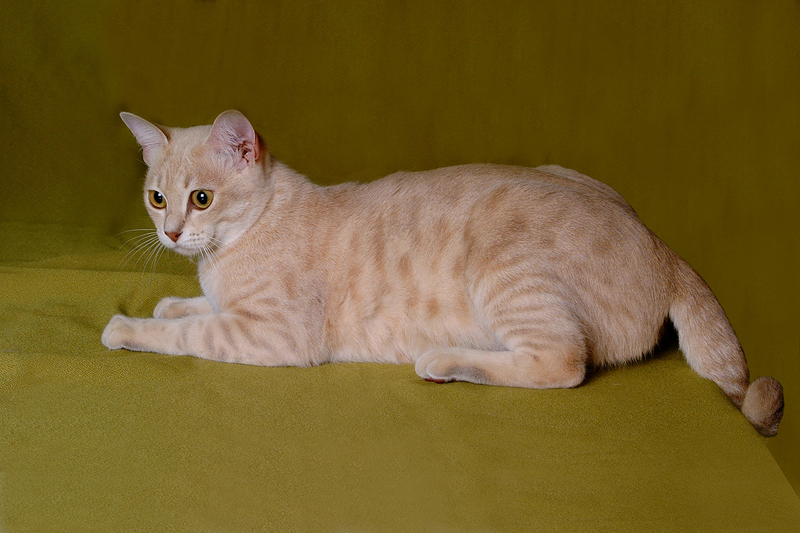 After the acceptance of the cats with marbled coat in this breed, the name was changed into ‘Australian Mist’. 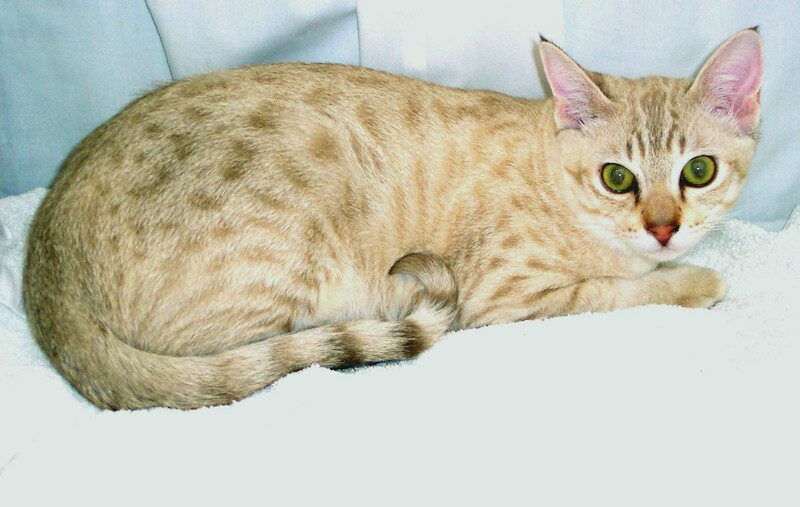 This domestic shorthair cat is the result of Australian cat breed development program of Dr. Truda Straede. In 1976, in order to develop an ‘Australian’ domestic cat breed, Dr. Straede commenced her work using Burmese, Abyssinian and Domestic cats of Australia. 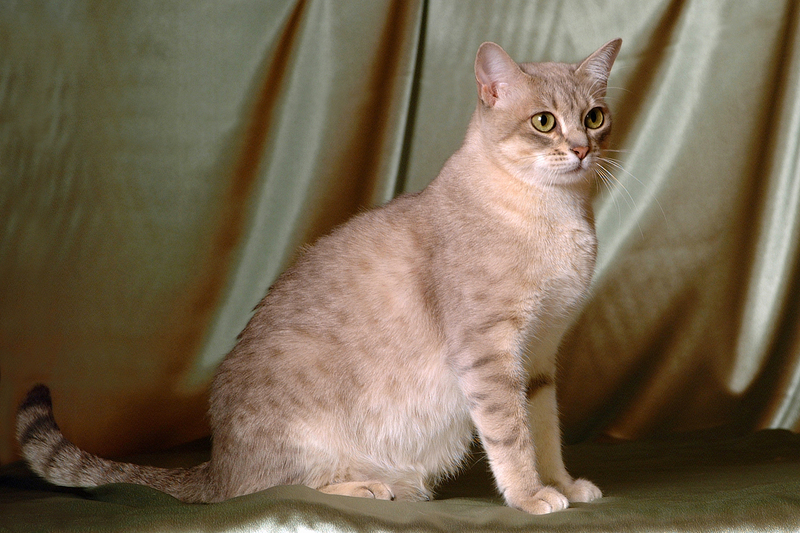 Attractive personality of the Burmese, intelligence of Abyssinian and gentle vigor of domestic tabbies were combined in this championship breed. It is the first locally bred pedigree cat of Australia. Because of its loving personality and indoor nature, Australian Mist is increasingly popular around the world. 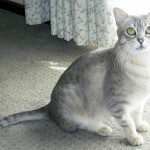 Overall appearance of Australian mist is the combination of half Burmese, and a quarter each of domestic shorthair and Abyssinian cats. They are of moderate size, composed of medium sized bones, a round head with large eyes and ears. Six colors and two patterns are found among the Australian mist. Available colors are blue, brown, lilac, chocolate, gold and peach. They are either spotted or marbled with misty background. Legs are matched with the body coat and usually barred. Tails are ringed or barred, and nicely furred. 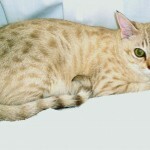 Resemblance with Burmese and Abyssinian cats is often found among them. 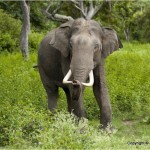 In fact, four of its original color comes from the Burmese ancestors. Other two colors are from the Abyssinian ancestry along with the patterns. It is also thought that the lively intelligence shown by this breed is the result of Abyssinian contribution. But the vigor of this breed, its body coat patterns and domestic nature comes from the domestic shorthair cat. Face and neck also has delicate line of colors. Nose, chin and whisker pads are also broad, combined with large green eyes. Coat patterns of Australian mists have three levels of definition. Some of them ground color, paler than coat patterns. Other two patterns include delicate through distinct pattern from ground color, and pattern with random ticking in the solid areas like a misted veil. 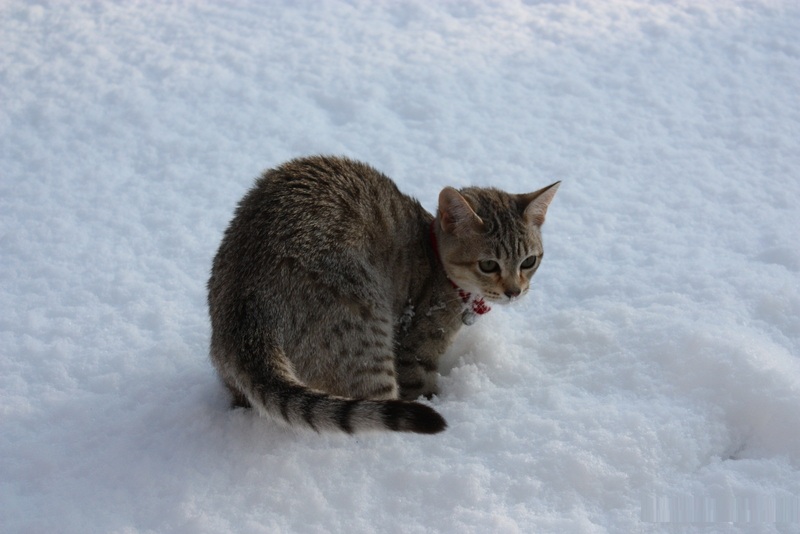 These patterns are originated from the crossings of the domestic shorthair and Abyssinian cats. Nothing unusual is in their feed habit. They will never say any word against usual cat meal available in the market. Because of their interests, they can touch or taste raw meat or milk. They don’t show any predator like activity. Other than that, you don’t have to worry about their dietary habit. Very few cat breeds of the world have detailed and complete breeding history and Australian mist is one of them. Any Australian mist can be tracked back to its foundation cats. Complete gene pool is available for the breeders and currently researches are going on to develop some new lines. Having an Australian mist as a pet is very safe. These cats are not ferocious and rarely run after birds or rats. Since they prefer staying home around humans, threats from other predators are not applicable. For kids, they are perfect as pet as they are not inclined to scratch their owners. Life span of Australian mists varies ranging from 10 to 13 years. They come in puberty within 5 months. Litter size varies ranging from 3 to 5. They are extremely affectionate and have a people orientated lifestyle. Young kittens are not boisterous. Adults stay loyal to their owners and to the families they are with. They like to stay involved in family activities and tolerant to handling. 5. 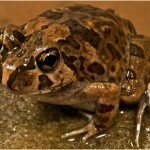 They are ideal indoor pets, can stay inside from dusk to dawn. 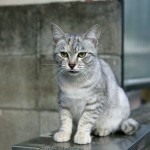 The Australian mist is mainly a domestic short hair cat breed. Most of the catteries of Australian mist are in Australia except few in UK and America. 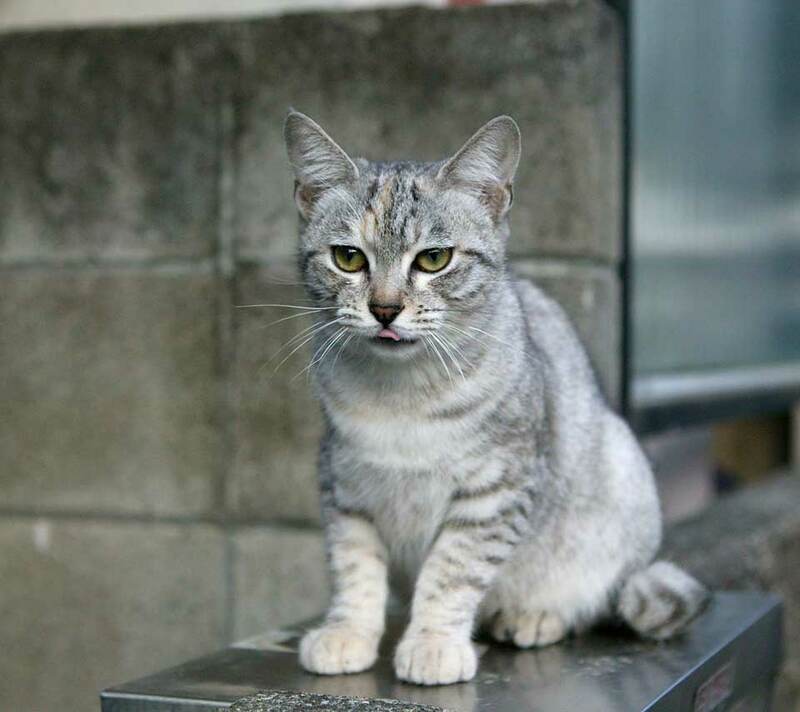 Some neutered cats are also found in other countries. It is originally developed in Australia and adopted as indoor pet. They always stay with their owners. Not so comfortable with outdoor environment and can stay 24 hours indoor. This behavior of Australian mist is also protective for native wildlife. Australian mists are very docile and friendly. They are happy to stay inside and have a tendency to crawl into the lap whenever possible, even if there is no invitation. 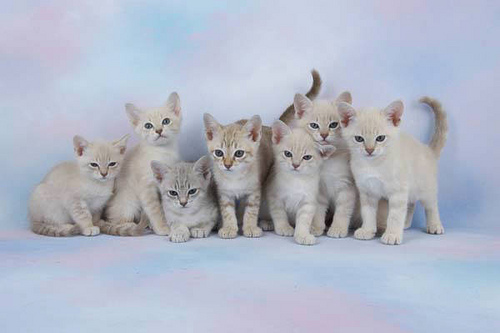 Unlike other kittens, Australian mists are tolerant of handling and very lively. They have intense need of human contact; can stay with their owners as wholly indoor pets. But they can be trained to go to walk with their owner on a lead. In a house with multiple pet, Australian mists can fit themselves easily with other cats and dogs because of their friendly behavior. They seldom fight with other pets and very quickly become a family member. They can be seen constantly hanging around with inherent curiosity to see what others are doing. 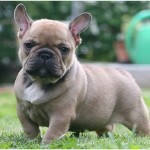 This quality has made this breed a perfect pet choice for disabled people or home workers. Australian mists reflect the best of its ancestry like intelligence and loving personality along with its own characteristic vigor. For show purposes, these cats are very suitable. They have shown outstanding performances so far. These cats have an attention seeking tendency. Frequently Australian mists are found to win Best in Show and Top 10 in Show awards. 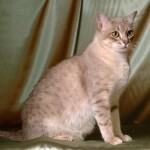 There are also a number of Diamond Double Grand Champions and Nationally Titled Cats of this shorthair breed. 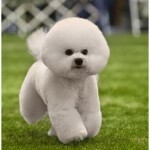 Recently, they have won the coveted All Breeds Supreme in show awards which indicates their superior performance.